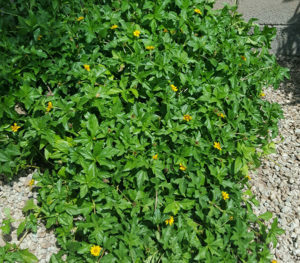 Yellow Dot is a fast growing trailing evergreen ground cover. 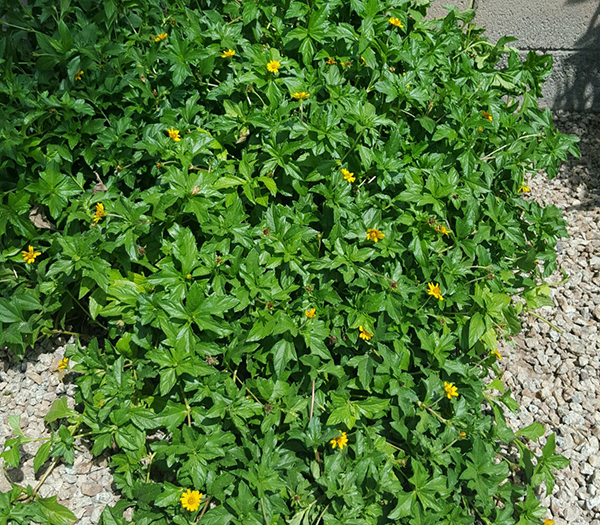 It loves full sun and has waxy looking green leaves with little yellow daisy like flowers. The Yellow Dot plant can be slightly frost sensitive but it usually only affects the top part of the busy. You can remove the frost damage in late winter and you will have a beautiful plant. This plant grows up to 18″ high and spreads as it grows. It blooms from early spring through the fall. It a low maintenance, low water use xeriscape plant and with it’s low litter it does great around pools.